Adversity Sparks Inspiration for Kitty LitterBowl! This disabled cat owner’s life was filled with challenges, but sometimes opportunity presents itself in unique ways, including thinking outside the litter box. Traci Thompson’s life was filled with challenges, but sometimes opportunity presents itself in unique ways. So this disabled cat owner took took her situation and, as she put it, thought outside the litter box. In 2007, due to various disabilities, Traci had to quit her job, ending a 17-year career in administration. It also meant filing for bankruptcy which resulted in the loss of their home. As they began to rent apartments, Traci and her husband, Curt, began to dream of buying a motorhome and starting a new life for themselves on the road. There was, however, one small thing that did give Traci pause about taking on this kind of lifestyle change…their cats. Even more specifically, the “dreaded cat litter box.” Living in what would be an already confined space in trying to accommodate this critical item, not to mention associated odors that even in some of the more optimal environments might be a disconcerting, she did copious amounts of research specific to the issue, including a failed two-year attempt at getting her cats to use the human toilet and top-rated (not to mention, in some cases, expensive) litter box devices, only to come away disappointed and dissatisfied. 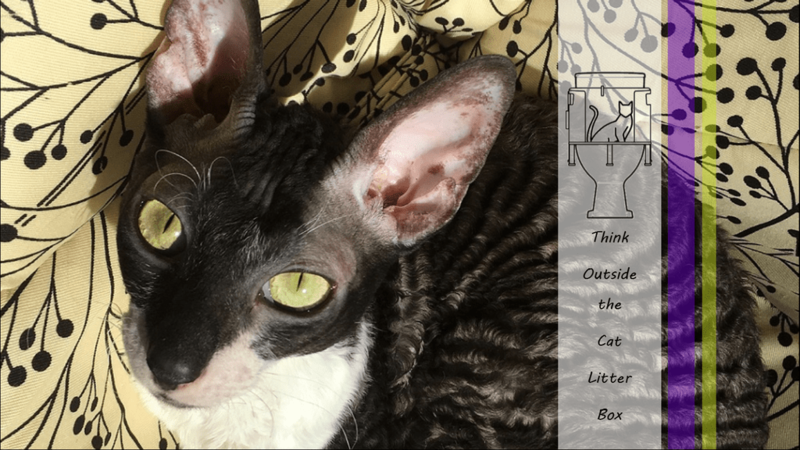 “I discovered that lingering bad odor, space issues, disarray and time consuming cleanup are inevitable when using litterboxes, no matter how much money you spend on one,” Traci said. Finally, knowing what she needed out of a litter box, she began her own DIY toilet “litter bowl.” She cobbled together her own variation using a bowl and one of the toilet training platforms she had purchased and with few modifications come up with she had been looking for all along. There were still a few kinks to be worked out, but the idea was on the road to reality. Traci has filed for a patent, but needs to fabricate a working prototype to move the idea forward and has create a Kickstarter campaign to help her raise the needed funds. Her goal to is license the rights of the Kitty LitterBowl to pet companies, which would give her the opportunity to become self-sufficient, without having to run a business that would impact her on both a physical and mental level. For more information about the Kitty LitterBowl visit www.kickstarter.com/projects/rvgems/kitty-litterbowl-think-outside-the-cat-litter-box for details and to pledge funds so Traci can see her “pet” project realized.